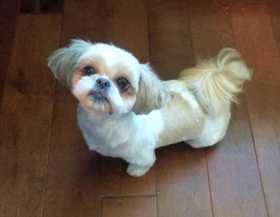 Coco is a white and brown Shi Tzu. She was last seen on Summit Ridge and River Bluff in Southwest Crossing, Houston Texas 77085. I'm heartbroken and concerned about her safety. She is just like a loving and affectionate child to our family. She was lost about 7 pm.